Photo of Tina Weymouth performing with The Talking Heads in Boston by Jeff Albertson, 1977. 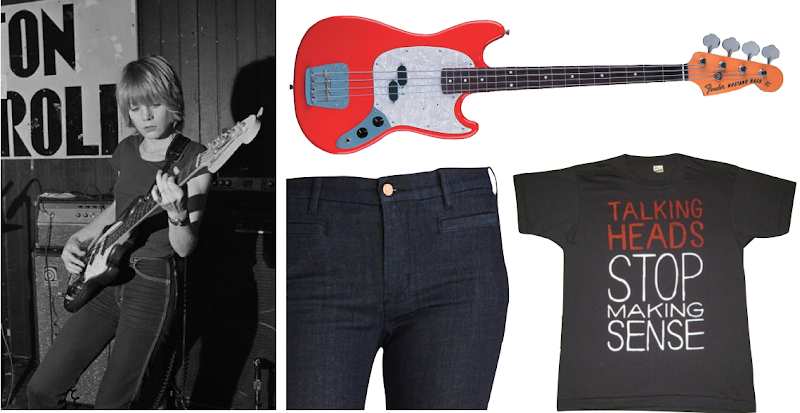 MiH Jeans ($188); Talking Heads vintage tour shirt ($100); Fender Mustang bass guitar ($999). Because Tomboys have very lucky boyfriends. Although apparently that's a misheard lyric, and it's supposed to be "laughing boyfriend." I prefer the mistake. I need those jeans and that t-shirt. Love. ...talk about an expensive outfit.